http://tidesandcurrents.noaa.gov/sltrends/mslGlobalTrendsTable.htm 200 + local tide station results. • The Great Barrier Reef complex is maybe 18 million years old but the current reef is only around 8,000 years old, built on a platform of older reefs. For a real bit of sea level rise; the sea rose 16m in the 300 years between 14,600 and 14,300 years ago……that’s a ~ 53mm (2 inch) /year. – https://research.jcu.edu.au/tropwater/resources/ – Who/what do you think caused that ? ?… Clue, Not CO2. 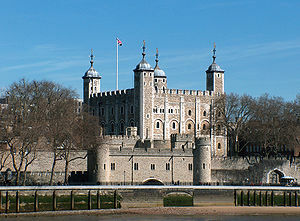 BUT- Have sea-levels really been rising remorselessly over the centuries?? By almost 280mm per century, as that graph above would suggest ?? Yes & No !! The ancient port at Phaselis (founded in 690 BC ) is 6m under water, giving a sea-level rise of ~ 23mm per century. The Roman 1st century BC harbour at Ephesus is ~5m above where it should be. suggesting a ~25mm per century sea-level fall. The port Heracleion near Alexandria is 10m or so below where it should be, and that may be due to its being built on alluvial sand. and that may be due to erosion. Rome’s principal 1st century A.D. maritime harbor, ‘Portus’ is now 2miles inland. Nothing is as clear cut as it originally appears. 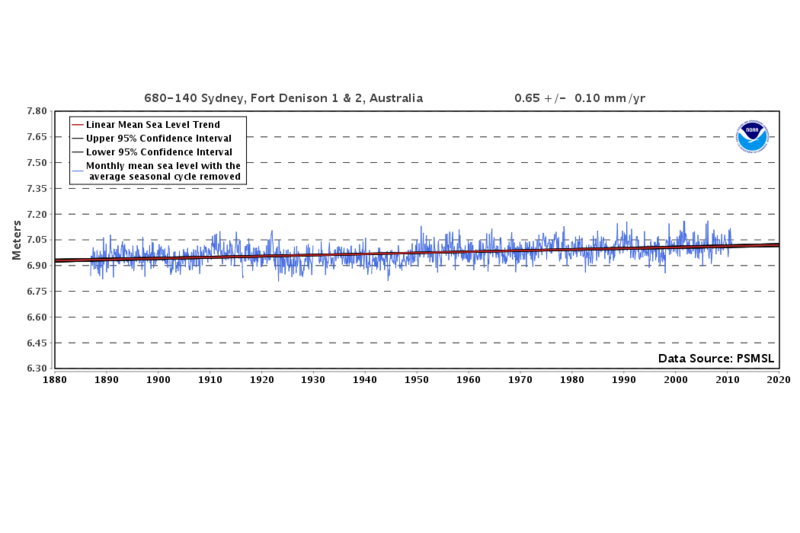 No dramatic sea level rise in 865 yrs. http://www.harlech.com/ – the sea is now approx 1 mile away to the left. 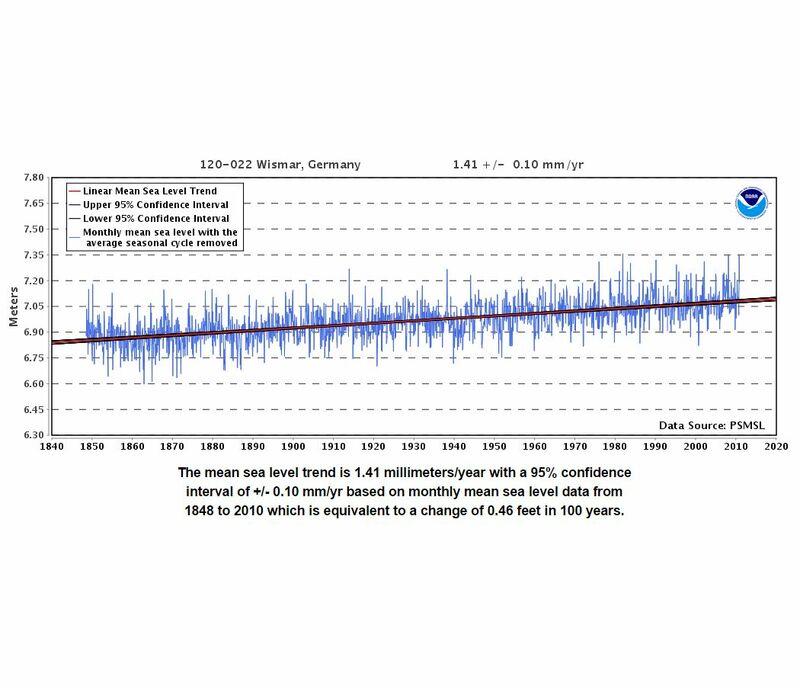 If you know how to read a graph, it should be obvious to you that there’s been no acceleration in the rate of sea-level rise in response to anthropogenic CO2. A rough guide to spotting bad science. Why are ALL the models wrong ? How much of the total “Greenhouse Effect” is caused by human activity? 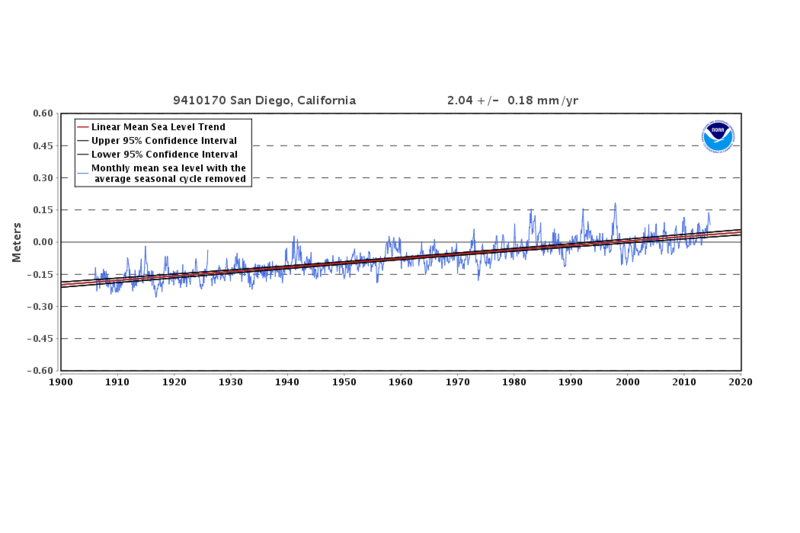 How can we prove the new ‘adjusted’ Temperature data is wrong …fraud?? Scary Stories. & This lot is aimed at our kids	! !